(Why) do Directors and Officers need D&O Liability? 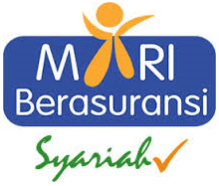 Who are the Insured Person? Who claims against Directors and Officers? Directors and Officers can now be personally sued by…. Directors and Officers may be personally liable to creditors for continuing to trade or distributing dividends whilst the company is insolvent. Shareholders may bring proceedings in the name of the company against Directors and Officers personally alleging………. ………..price fixing;……..dumping of product in the market…, competitors who allege that their business has been adversely affected would be likely to claim against them. Employees may bring proceedings against Directors and Officers alleging unfair dismissal, discrimination or sexual harassment. Customers may bring actions against Directors and Officers alleging breaches of the consumer laws, for example misrepresentations made in advertising material or deceptive trade practices.